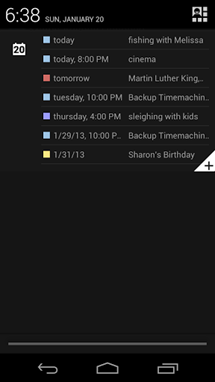 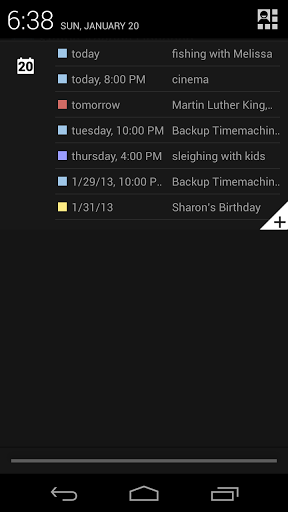 Since the introduction of expandable notifications in Jelly Bean, the shade has increasingly become the home for widgets and easy-access controls. 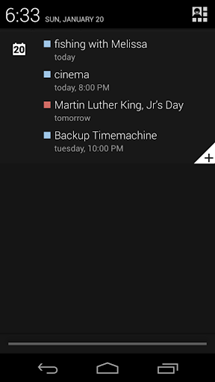 StatusAgenda brings this concept to your calendar, creating a persistent list of upcoming events accessible from anywhere in the operating system. 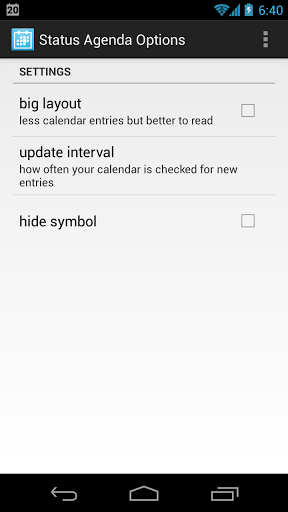 At the moment, the app is pretty barebones, but it doesn't need too much fluff. 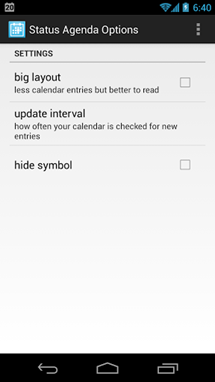 You can choose from either a larger or more compact layout, and the list of events can be collapsed with the regular gestures you use to open and close expandable notifications. StatusAgenda is free on the Play Store, and still listed as a beta for the moment. 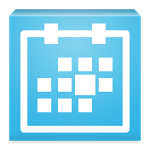 Planned features for the future include the ability to select which sub-calendars to show, though at the moment all events are enabled.